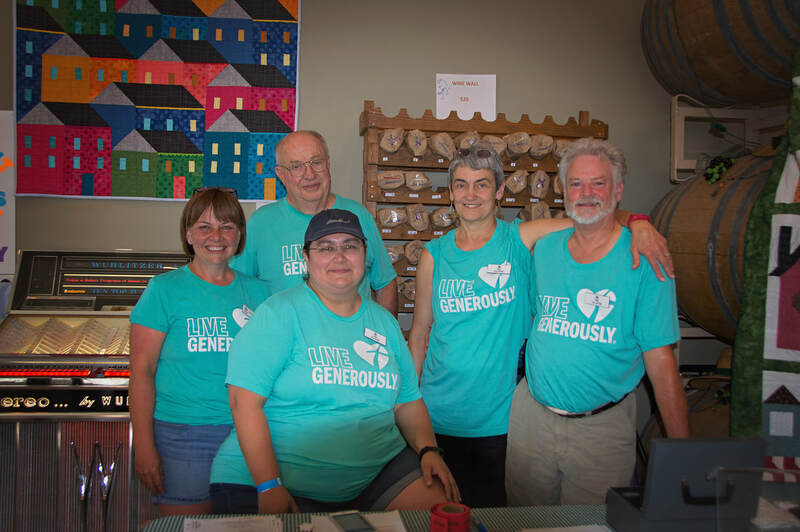 Time and time again, our community has demonstrated its generosity through countless hours of volunteering. Through this collective effort families have been able to move into their own homes. Junction City/Harrisburg/Monroe Habitat for Humanity seeks passionate individuals and organizations to join us in our mission to provide decent, affordable housing in the Junction City, Harrisburg and Monroe communities. Volunteers of all skill levels and from all walks of life are encouraged to join us! You don't need to know construction skills to be a Habitat volunteer. Do you have an interest in helping us with our many fun events? Give us a call at 541-998-9548! Our Habitat for Humanity ReStore is always in need of volunteers who want to put their talents to work! We need volunteers to stock, sort, price, and arrange the many items for sale. If you have a flair for DIY or making repairs, we have a spot for you! Call the ReStore at 541-998-1139 for more information. We have slots available Tuesday through Saturday from 10:00 a.m. to 3:00 p.m.
We have events throughout the year--small and large! If you'd like to be a part of the festivities, we'd love to have your help! The Habitat for Humanity office uses volunteers to assemble newsletter, distribute flyers and posters, and other tasks. If you'd like to be a part of Habitat but aren't ready to swing a hammer, perhaps you'd enjoy helping out in the office. If you'd like to serve your community and learn leadership skills, consider becoming a board member of Junction City/Harrisburg/Monroe Habitat for Humanity. Board members govern the operations of our affiliate and are crucial to the stability of the organization. Board meetings, held the third Tuesday of each month from 6:00 p.m. to 7:30 p.m., are open to the public and we welcome visitors! Call the office at 541-998-9548 for more information. Contact us today and let us help you get started! You can complete a Volunteer Interest Form online and we will contact you for registration and scheduling. Or call us at 541-998-9584 for more information!